A full eternity ring with Baguette Cut diamonds vertically set around the channel setting. 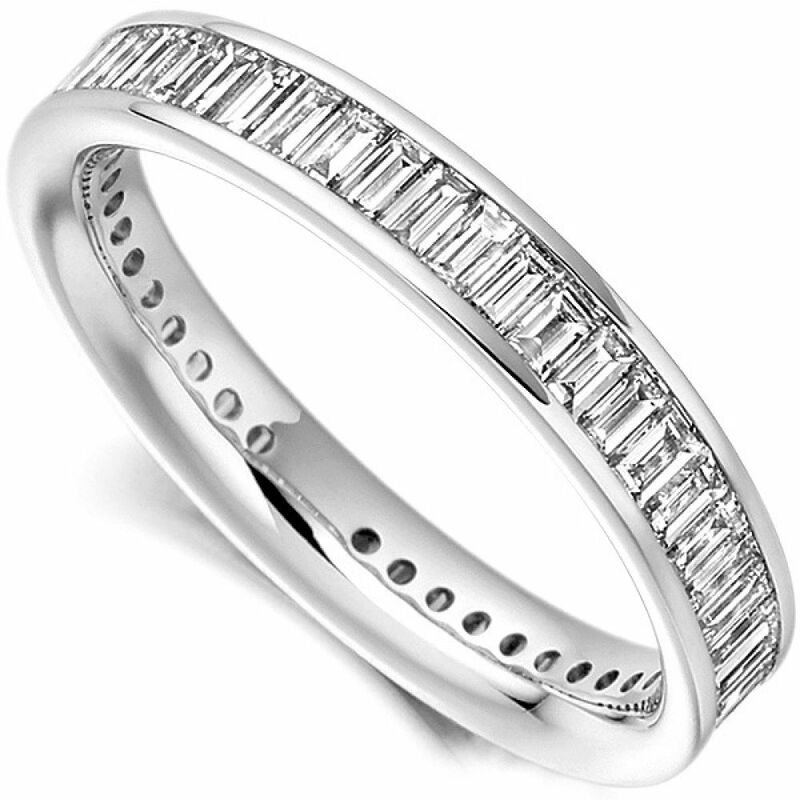 A fully set baguette Diamond Eternity/Wedding Ring design, channel set with 1.50 carats of horizontally set Diamonds creating a scintillating flow. 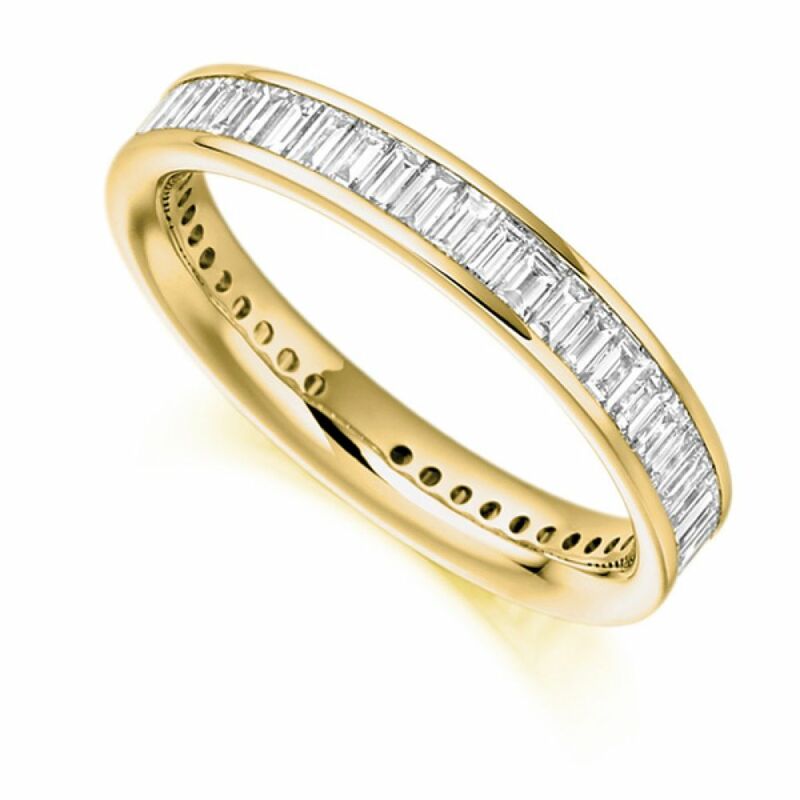 The band is 3.60mm wide and the precisely matched Baguette cut Diamonds have been graded F Colour and VS1 Clarity prior to being expertly set. You can also add your own personal touch by choosing from our variety of finishes which include 18ct Yellow, White or Rose Gold, 950 Platinum and 950 Palladium. This distinctive ring will arrive beautifully packaged and ready for that special moment. Please allow 4 weeks for delivery as this design is crafted to order.